Last modified on September 17th, 2018 by Joe. 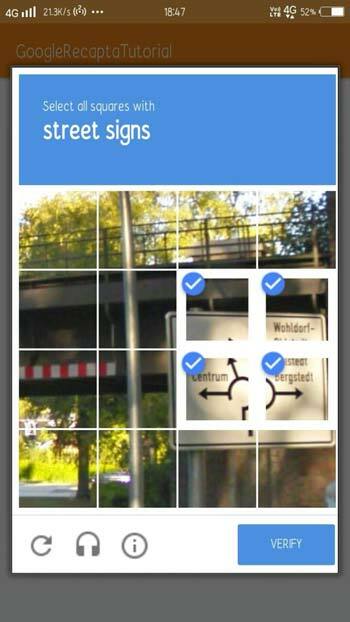 Captcha is used to distinguish human from automated bots. 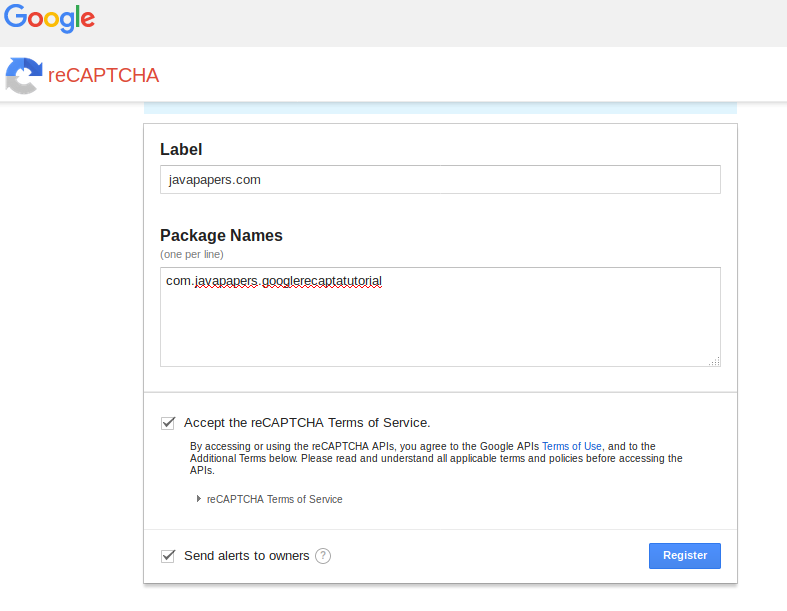 Google provides a captcha API named Google reCAPTCHA as a free service. It is the most popular captcha service available in the Internet. 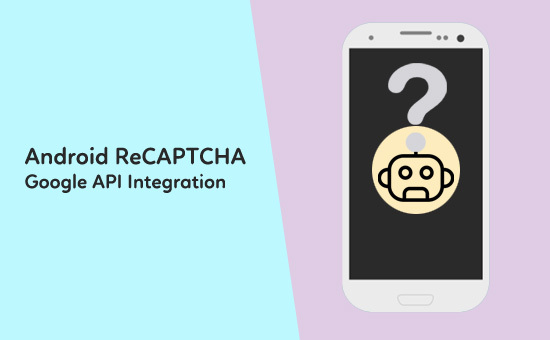 In june 2017, Google rolled out Android reCAPTCHA API. It is a part of SafteyNet services. It is effective in preventing bots from engaging in abusive activities on your app. 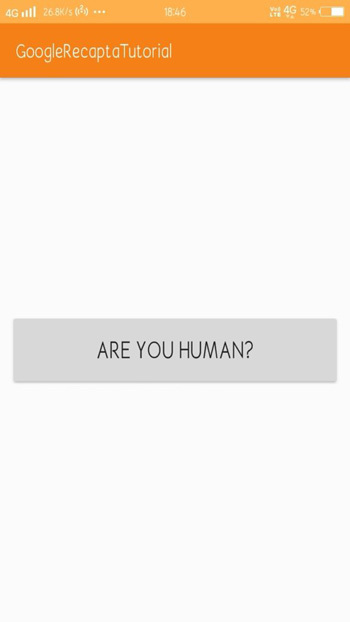 Android reCAPTCHA uses adaptive CAPTCHAs and an advanced risk analysis engine which automatically distinguish between human and bot. It doesn’t always require user to read distorted text or solve a simple problem. 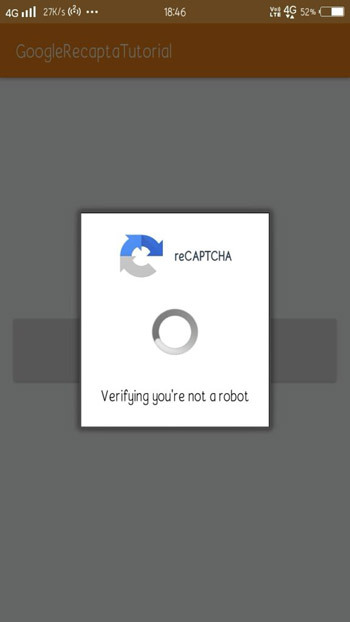 In this tutorial i will guide you to integrate and use Android reCAPTCHA in an android APP. 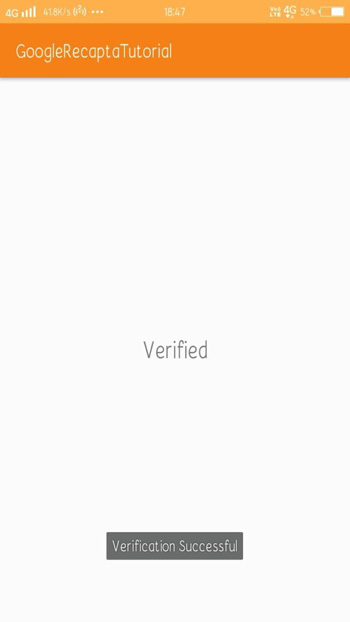 We will build a demo Android APP, in which user is required to click a button to proceed. Google Android reCAPTCHA service will respond to the click. You will be prompted to new activity once verification is successful. I recommend you to check the Google reCAPTCHA implementation in Java. Enter label name in first and package name in second field. Accept the term and condition and click REGISTER. You will get promoted to new page. Now save the site key and site Secret. Added internet permission in the Android Manifest file. Our layout will only have a button. Create a new activity and name it MainActivity2. This activity has only a textview containing a dummy text. Here, GoogleApiClient is used for Google play integration. Code inside on click method is used for verify the the action with recaptcha. The onResult method return the result form the api. Inside onResult method, intent is used to start next activity once verification is successful. Otherwise it will throw an error message. Now run the example Android APP. Comments on "Android ReCAPTCHA Google API Integration"
Comments are closed for "Android ReCAPTCHA Google API Integration".